Two years ago, during this hour, I was having contractions. Big ones. Doctors and nurses were in and out, checking the magnesium drip I was being given to try and stop the contractions. The big ones. I was in labor at 28 weeks, not ready to be a mom. Worry and fear are weak adjectives to describe what I was feeling. Would they survive this early? If they did, what kind of health problems would result from being born 3 months early? Three months early. If I wasn't trying to focus and breath through those stupid contractions, I would've been sobbing. Because if they did survive, and were healthy, what about my own shortcomings and inexperience? I was just supposed to raise three kids the same age at the same time with no prior experience? It felt like a major mistake was made in the admin department of heaven somewhere. Me?!? Mom to triplets?!? But they did come. My little 28 weekers, just over 2lbs. My worst fears were never realized. Only the secondary, minor ones. Because we all eventually came home from that hospital, healthy. But the inexperienced mom part is still a reality. But I work through that with lots of prayer, a few cry sessions from time to time and frequent treats from an understanding spouse. The same guy who was with me with every contraction. The one who fills in the holes when mom just has nothing left. We all adore him. My little ones are all sleeping now, on the eve of their 2nd birthday. My healthy, happy, busy toddlers. Those worries of sick preemies seem so distant compared to what kind of shenanigans they are up to now. I'm exhausted at the end of every day. And I couldn't be happier about it. Or more grateful. Happy Birthday little miracles. Mommy loves you. I love this post. I love it for a few reasons!! Reason number 1: because I just love how you express your thoughts. Reason number two: because I'm in shock your 28 weekers are already two. Reason number three: because just last night, I was in my bed sobbing to Weston that I'm a terrible mom and I feel so bad because ive been blessed with two of the best spirits heaven has to offer! Reason number four: I'm glad I'm not the only one who is exhausted every single day but so grateful for why. 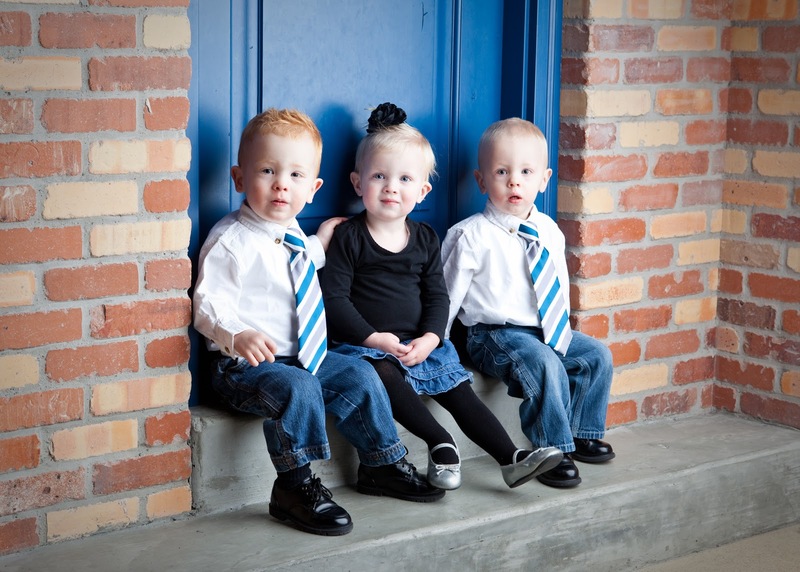 Happy birthday to three adorable two year olds!! There was no mixup in heaven's admin department! You are my hero in the mothering department. Happy Birthday to Sunshine, Gabe & Christian! oh my heck! they are so stinkin' cute!!! congrats on #4 too.